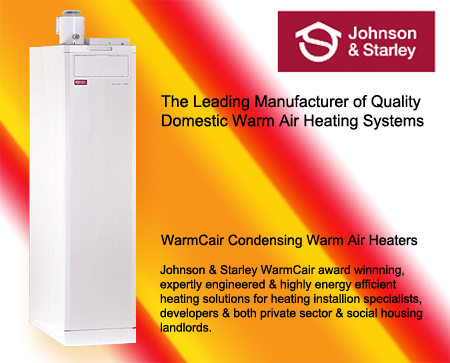 Johnson & Starley’s all new WarmCair range are highly reliable, uniquely efficient systems that provide constant and stable warmth with low carbon emissions and low operating noise levels. Units are available with or without Domestic Hot Water (DHW) provision and in either upflow or downflow versions. The WarmCair range should be considered as a replacement for any existing warm air heater, and with installations generally being possible in less than a day, disruption is minimal. The latest WarmCair range now extends to an impressive 46kW so are now capable of meeting a wide range of commercial heating requirements in schools, nursing homes, small hotels, retail outlets, religious buildings, sports halls and community centres.